Little kids like dogs. Little kids like to poke dogs. Little kids like to pull their tails. Some dogs tolerate this; some dogs don’t. This book is for the dogs that don’t. 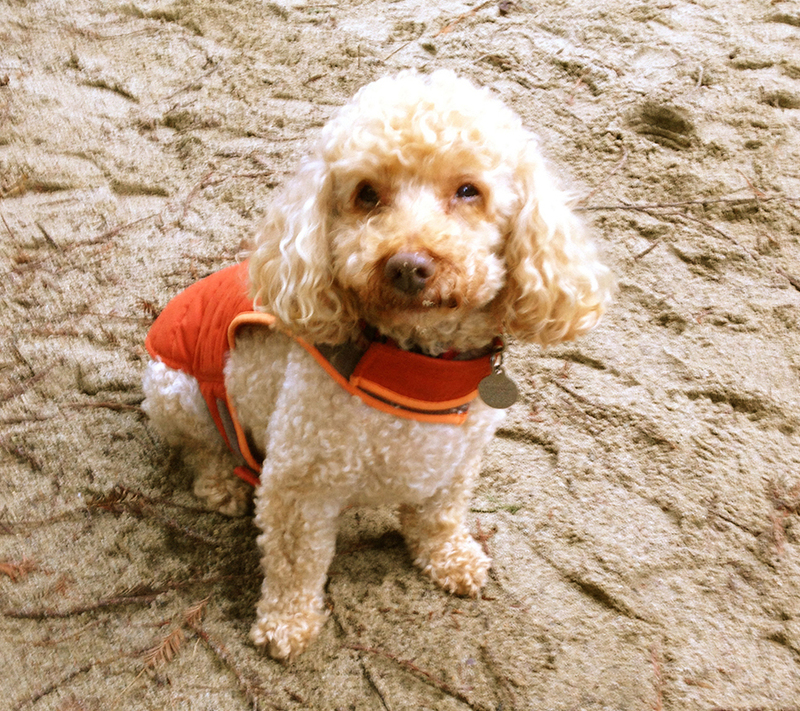 Smokey, the miniature apricot poodle has it all. But can it last? With the arrival of a new baby, he struggles to adjust to his new place in the family. After several failed tactics, he ingeniously teaches the baby how to properly behave around him so they may co-exist peacefully. He not only realizes that there's enough love for everyone in the family, he also gains a new best friend. This author supports the work of the Humane Society of The United States and has included a helpful tips section for parents sourced by them. Kara Hamilton is a San Francisco-based actress and model with leading roles in films, commercials and advertising campaigns. She holds a degree in Broadcast Journalism from Florida State University where she regularly wrote for 'The Sunshine Network' (currently Fox Sun Sports) and Florida A&M's newspaper. She lives with one husband, two children, three chickens and four battery-operated fish. Before the children, came the dog - a dog she loved dearly and wanted to peacefully coexist with her then-new baby, not be one of the 1.4 million abandoned to shelters each year. Unimpressed with the current choices, she desired a creative and entertaining way to teach her child (as well as others) how to properly behave around dogs. 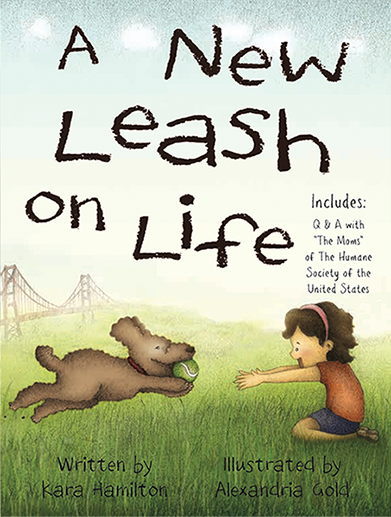 Completely based on Kara's life story, the picture book "A New Leash on Life" was born. Alexandria Gold grew up in Portland, Oregon where she loved being creative. Even now, everyday is an opportunity to be creative as she is working as an illustartor and crochet artist in San Francisco. She has exhibited around the Bay Area at places such as Trickster Gallery, The Stillwell and the AAU Spring Shows. Her miniature crochet characters have been featured in a show by Resobox in New York. Whether it's through illustrations or capturing her crochet character's adventures with her camera, her work aims to make her audience smile and warm their hearts. "I found it really charming, warm, tender and – perhaps most significant – a potential real boon to families with dogs. 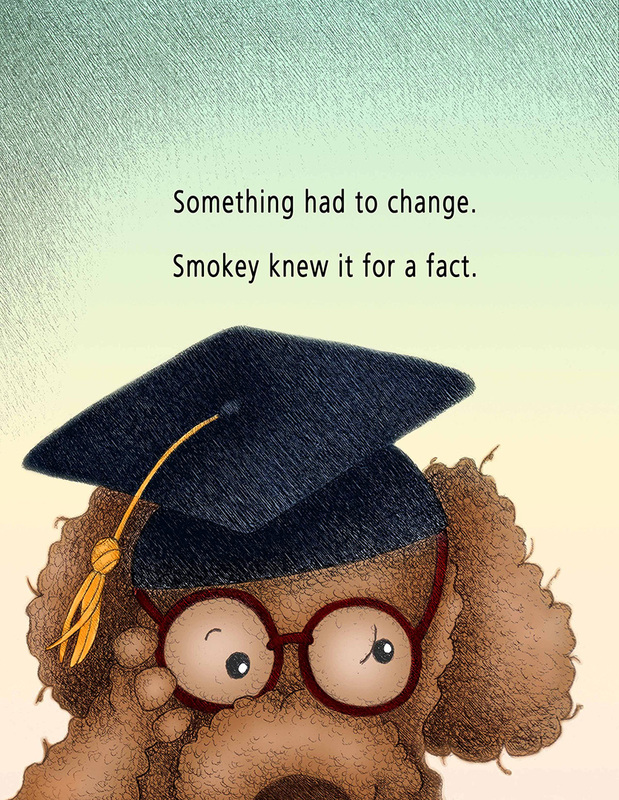 What I especially like about it is that we see things directly from Smokey’s point of view! It’s really quite imaginative." "Creative and entertaining, educating small kids the proper way to behave around dogs....and has an important message for sharing with young children: There's always enough love in all families for everyone and every dog. The rhyming prose is easy for wee ones to read and understand...and Alexandria Gold's illustrations are colorful and captivating." Every 40 seconds, someone in the United States seeks medical attention for a dog bite. Unfortunately, children comprise 60% of the dog bite victims. The vast majority of bites are by pet dogs and happen when people are engaged in social behavior in appropriate places. They generally (61%) occur close to dog's home or home of the bitten person. Typically (77%) injuries are by friendly dogs known to the bitten person. Children aged 5 or younger are more likely to provoke animals. Not all dogs are adaptable to children/especially those with a difficult past. Please trust your gut and involve the expertise of a professional trainer if there is any doubt for your child's safety. Each year approximately 3.9 million dogs enter shelters in the U.S. Don't let your dog be one of them for unwanted behavior. It can be hard on a family when a new baby or new dog arrives. Let smokey make it easier. The author supports the work of The Humane Society of The United States and will donate 10% of the profits of this book to their cause. This month’s Mompreneur, Kara Hamilton channeled her entrepreneurial spirit when embarking on the journey of becoming an author. 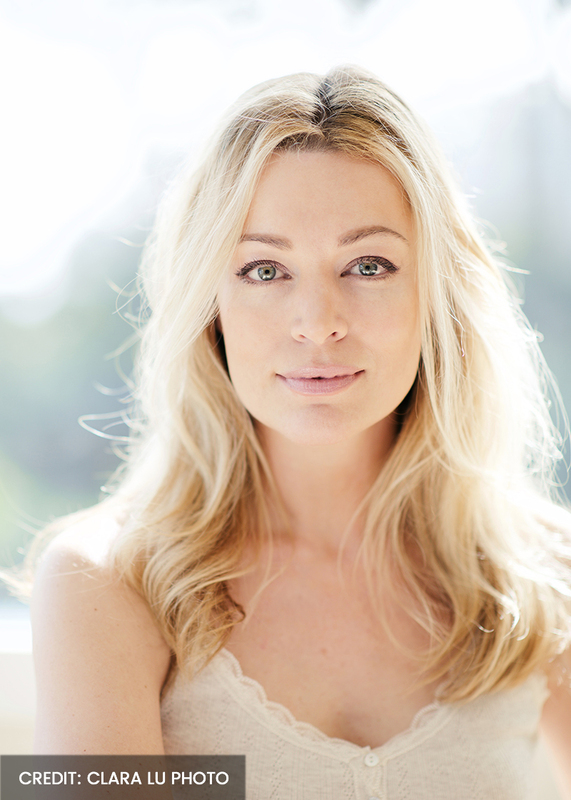 Before becoming a mom, Kara had worked extensively in the modeling and acting worlds for many years in New York, San Francisco and internationally. After having her two children, inspiration struck while spending time away from her family for work in New York. Kara had been looking for a book to aid her with the care of her new baby, her growing toddler and her little poodle. She wanted to teach her children (as well as others) how to properly behave around dogs in order for her dog Smokey not to become one of the many, many dogs who are abandoned to shelters each year. Not being satisfied with her choices of books on the topic, Kara tapped back into her roots as a journalism major and the picture book A New Leash on Life was born. The book would not have been written had it not been for Kara becoming a mom and wanting to lead by example. While Kara majored in journalism and always enjoyed writing, being a mom finally pushed her to make this dream come to life. The trickiest part of becoming an author, besides carving out time to write, was to obtain a publisher and choosing the perfect illustrator. Luckily, Kara managed both and her book is slated to be released this April. To learn more about Kara and her book as well as upcoming events, visit her website at karahamilton.com. Kara supports the work of The Humane Society of The United States and will donate 10% of the profits of her book to their cause. 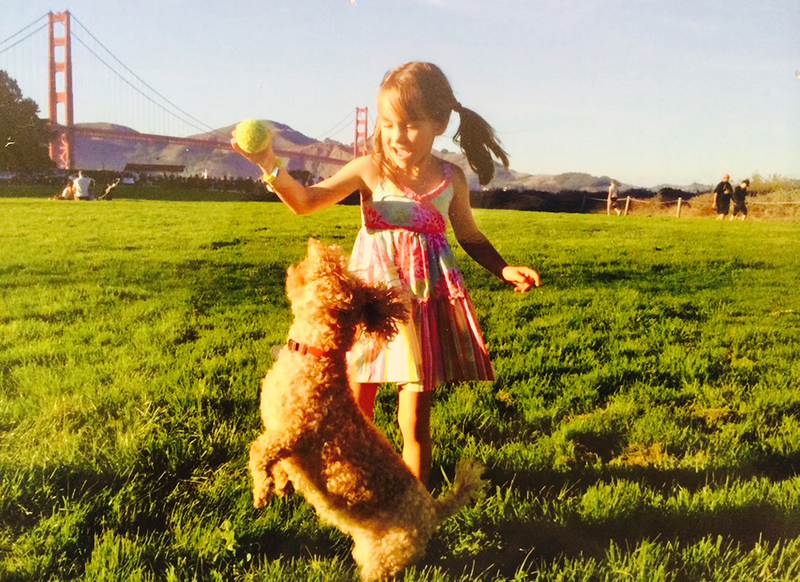 "A New Leash On Life" tells a story of adjustment when the parents of Smoky, a miniature apricot poodle, welcome a new family member, a baby. "A New Leash On Life" uses appealing narrative verse and charming, fuzzy soft-colored illustrations to speak directly to an audience of young children. The point of the story is to encourage families and parents to be patient with an adjustment process when they bring home a new baby to a household that already has a treasured pet. While the human baby is helpless and demanding at first, the pet also needs to adjust to a different amount of human attention from adults, also sharing space with a new family member. Tips and techniques for training young children in appropriate ways of interacting with dogs are specified. 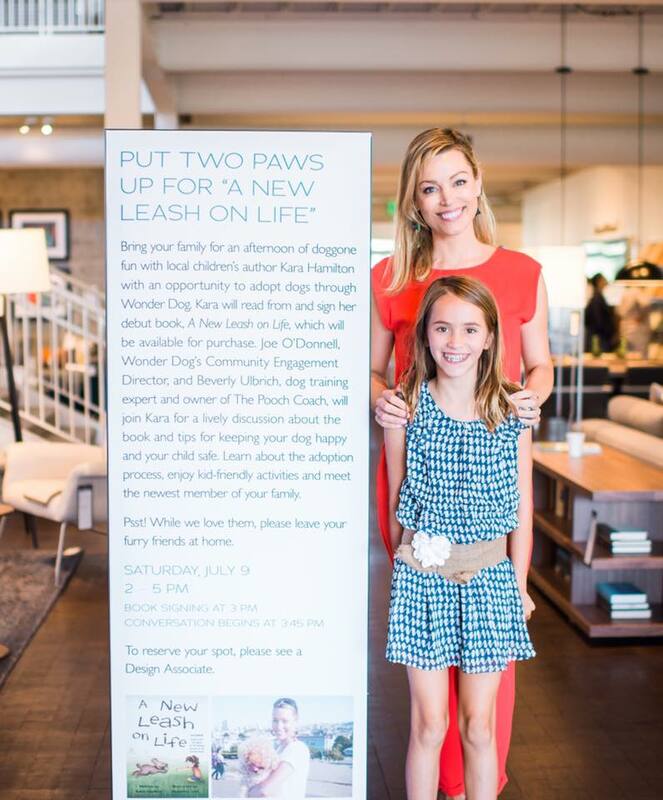 Included in "A New Leash On Life" is a Q & A section with the Moms of the Humane Society of the United States. There is also a helpful Baby Training Manual addressed towards a small child, to give advice about positive ways to interact with a dog. "A New Leash On Life" offers young families a valuable resource to encourage the retaining of a beloved pet after the birth of a new family member. The author chooses to support the work of the Humane Society of the United States by donating 10% of the profits from "A New Leash On Life" to it's cause.